The legendary Motorola RAZR might be making a comeback as a $1,500 foldable screen smartphone, and it could launch as early as February, according to a new report from TheWall Street Journal. Following months of leaks and speculation, Samsung finally announced last week that it will hold its latest Unpacked event on Wednesday, February 20th in San Francisco, California. The presence of the number 10 on the invitation all but confirmed that the Galaxy S10 will make its debut on the 20th, but we still weren’t totally confident that Samsung would bring its foldable phone to the event as well. But Samsung might have just removed all doubt. Samsung has reiterated on numerous occasions that it plans to launch its foldable smartphone in the first half of the year. If the phone is indeed going to be shown off alongside the Galaxy S10, there’s a chance that it will be available on store shelves at the same time as well — presumably in April. According to recent reports, Samsung is still trying to settle on a name for the device: Galaxy F, Fold, or Flex. Whatever it’s called, it’s going to be pricey. Phones with foldable screens have felt like they’re on the cusp of arriving for years, but outside of a couple of concept designs and trailers, we have yet to see one receive a proper release. However, Royole Corporation could be about to win the race with the FlexPai, a tablet-sized phone that can be bent into a shape the size of a small paperback book. Before you get your hopes up that the era of foldable smartphones is finally upon us, you should watch the below video featuring the device. It looks early, to say the very least. For one thing, the phone doesn’t fold flat, so it ends up pretty bulky when packed away. The software also appears to get confused when the phone’s screen is bent, with the display flashing a couple of times before picking an orientation. Internally, the device features a Snapdragon 8-series chipset, and ITHome (via GizmoChina) suggests prices will start at ¥8,999 (around $1,290) for a model equipped with 6GB of RAM. Pre-orders will open on October 31st, with orders planning to ship in December. Royole’s FlexPai is due to have some pretty serious competition very soon. Samsung’s foldable smartphone is set to be making an appearance next week at its yearly developer conference, and both LG and Huawei are reportedly developing foldable handsets of their own. It really feels like we’re on the cusp of these devices actually releasing, but then, it’s felt like that for a while. Smartphones these days don full screen, almost bezel-less displays with multiple cameras, powerful processors and bigger batteries. Though the innovation may be at its peak, individual components aren’t available to their full capabilities in smartphones as of now. Companies are working on making faster processors that do not heat the device, bigger batteries which have a thin form factor, etc. What seems to be an upgrade in order to achieve these requirements is introduction of foldable smartphones. 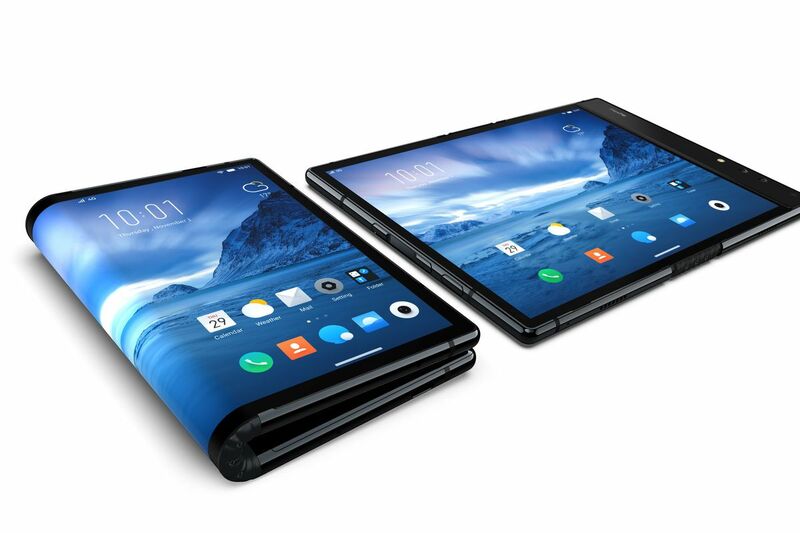 Multiple Original Equipment Manufacturers (OEMs) are in works to introduce foldable smartphones and consumers may be able to buy the new tech this year. Samsung confirmed that it will launch a foldable smartphone in 2019. In its launch event last year in November, the company showcased a tablet-sized screen which can be folded into a smartphone. Samsung called it ‘Infinity Flex Display’. No details were given during the event except that the main screen is a 7.3-inch display which can be folded to a candy-bar sized smartphone with a screen on 4.6-inches. The phone is tipped to be called as the Samsung Galaxy X or Galaxy F and the rumour mill states that it will be priced around $1400. LG, that doesn't like to be behind innovation and has been competing with Samsung in the display department, had also teased a foldable smartphone last year. The company filed a patent showing a “mobile phone with a flexible display which can be folded in half” . LG Mobile CEO, Hwang Jeong-hwan told Korean news site Yonhap: “We are working hard with our partners on various obstacles that can occur while folding and unfolding.” On being asked about the launch date, he said the company will launch the device when they can provide enough customer value rather than being the first in the world. A legendary smartphone manufacturer once upon a time, Nokia had filed a patent in December 2013, which was granted last year. The patent hints that Nokia will launch a foldable display smartphone this year.  No details are available on the size of the display or any other specifications. Huawei CEO, Richard Yu, confirmed in 2017 that the company will launch a foldable smartphone this year. He had said that the company is working on a flexible smartphone prototype and similar patent diagrams appeared online in March 2018. The patent document reads a device simply as “foldable smartphone”, but show a book-like phone that can be opened up to create a larger tablet with a hinge connecting each of the two screens. But recent developments made me reconsider this patent. Perhaps Apple hid the foldable iPhone design in plain sight all along. Edited by DACH, 17 January 2019 - 11:35 PM. So foldable phones are the new fad?? Can't see the purpose for this for now. Folding makes it thicker & bulky. Probably to accommodate bigger displays. Edited by DACH, 26 January 2019 - 02:00 AM. Talk about it has been going on for almost 10 years. Samsung and LG have repeatedly demonstrated at exhibition foldable concepts... It's great, that we finally will see them on the shelves. Tablet means a wider open area for Molly to sleep on. The leader of smart phone (iphone) has been always the 1st to take the lead. Change of their leader meant end of their legacy? Folding phone need to use OLED display, iphone should have problem getting enough supply of OLED. Since the main source is still Samsung. Currently other than Samsung, only BOE of China are able produce low volume of OLED display. Others manufacturer are mainly not successful in manufacturing OLED. Huawei OLED supply should be source from BOE. Edited by Tohto, 06 February 2019 - 11:44 AM. Or same size screen but half size phones.